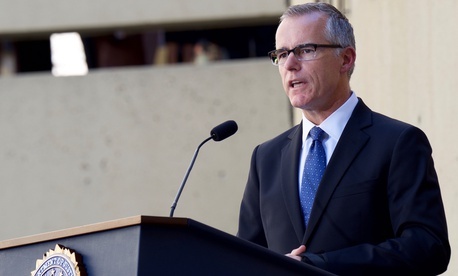 In reading news reports about the abrupt departure of FBI Deputy Director Andrew McCabe yesterday, I was struck by one aspect of the story. It’s pretty clear to everybody at this stage that McCabe is not coming back to the FBI. So how is this happening? Under the circumstances, I guess I wouldn’t be surprised if someone has decided that “exigencies” are at stake here.